MEDICA 2017 has been held in 13-16 ,NOV. 2017 in Dusseldorf. MEDICA is the largest exhibition for medical dealers, distributors, hospitals group purchasing org. & medical professionals all over the world. 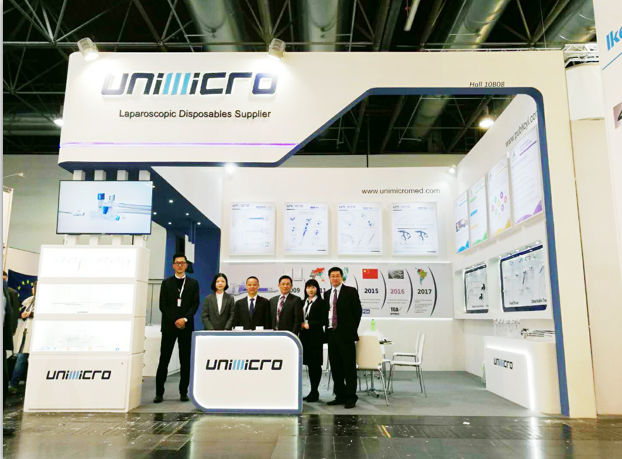 This is 8th time that Unimicro has come to MEDICA since 2009. 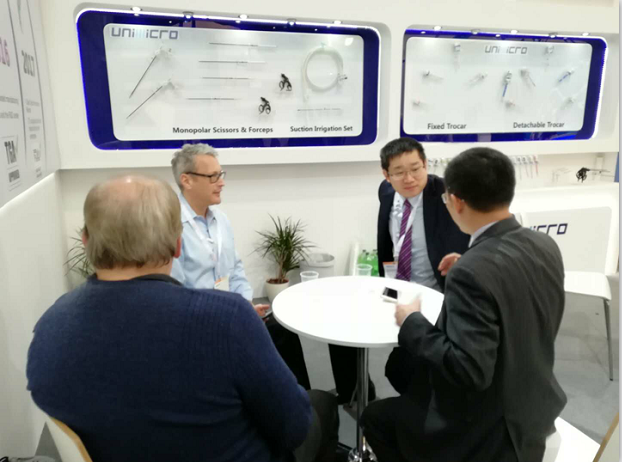 We Unimicro Medical brings the greatest Medical innovation to the world at this highlight of the most famous medical exhibition,making Unimicro Medical Greatest in the world. 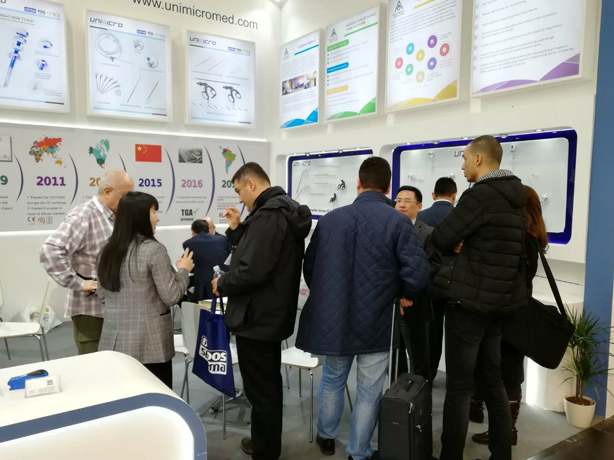 MEDICA 2017, Unimicro stunned with its new laparoscopic instruments including Trocar, Suction Irrigation Set, Endobag ,Veress Needles, Laparoscopic Monopolar Electrode, Insufflation Tubing, Smoke Filter, etc, drawing attention from many local purchasers and visitors. As an innovative medical device company, we are equally committed to improving the affordability and accessibility of global high-quality healthcare.